Bling baby. Who doesn’t love a little bling every once in awhile? Or a lot of bling once in awhile? Okay, I am sure there is someone out there but we aren’t talking to that person today. Today we are talking to all of the other folks out there that like to get their sparkly shine on and swoon with the rest of us. 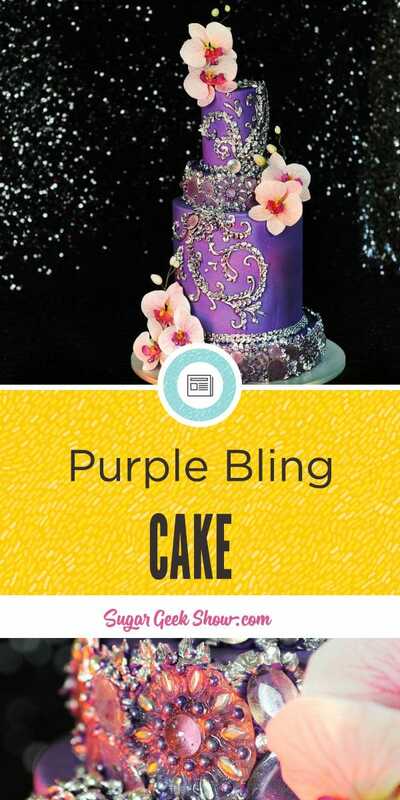 Let’s take a look at some gorgeous photos of our latest tutorial officially titled, the Purple Bling Cake. 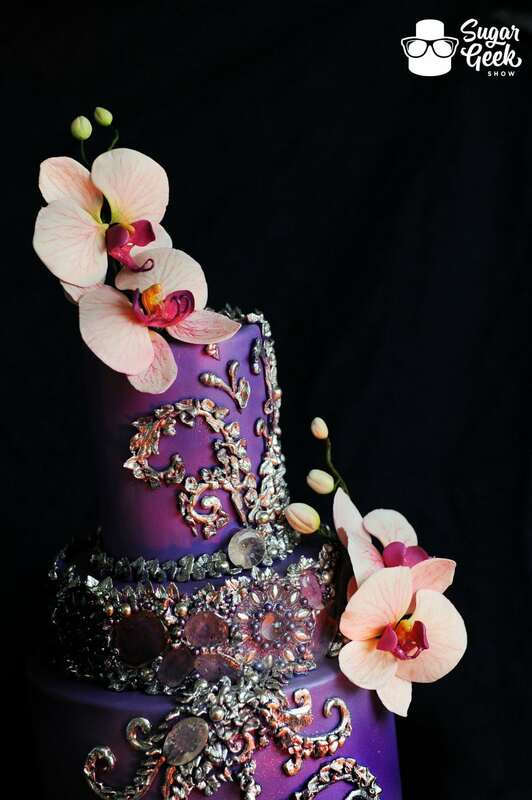 This is a re-make of a cake Liz did very early on in her career and since then it has been pinned, shared and re-posted thousands of times. Now you can learn how to make it! 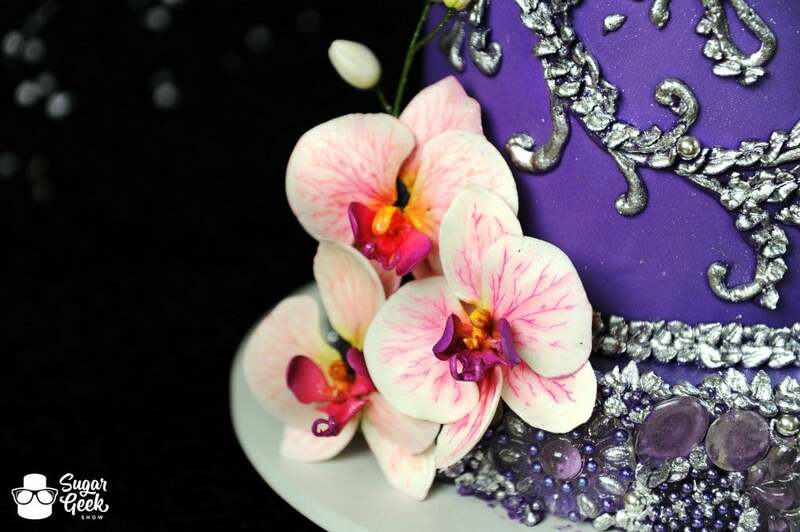 This cake is mostly about the bling but look at those orchids! You can’t ignore those. They are so incredibly beautiful and realistic! In this tutorial, Liz shows you step by step how to make these lovelies from creating all of the components to dusting. 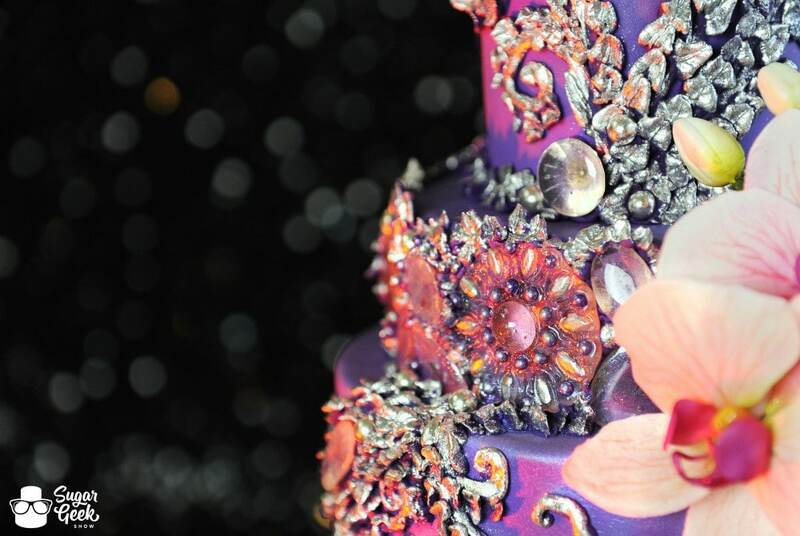 What’s more impressive than having real bling on your cake? Edible bling. 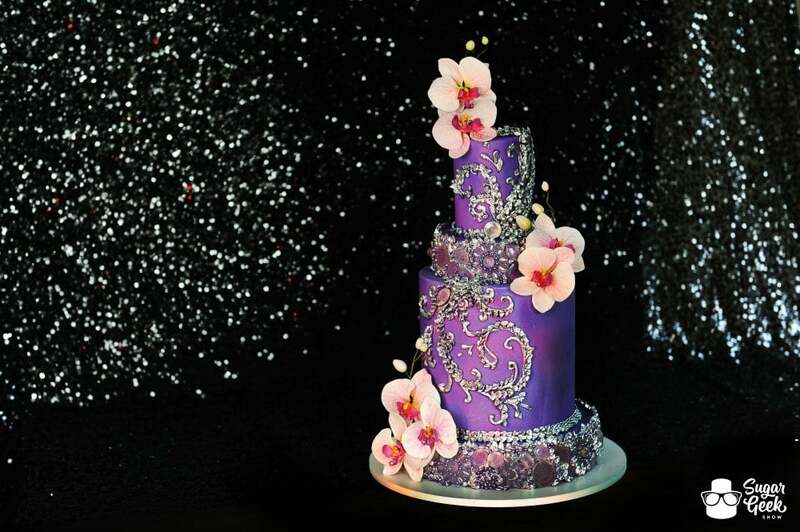 People will be amazed that you can actually eat all of that sparkle. Not that you’d want to, but you could and that’s what matters. 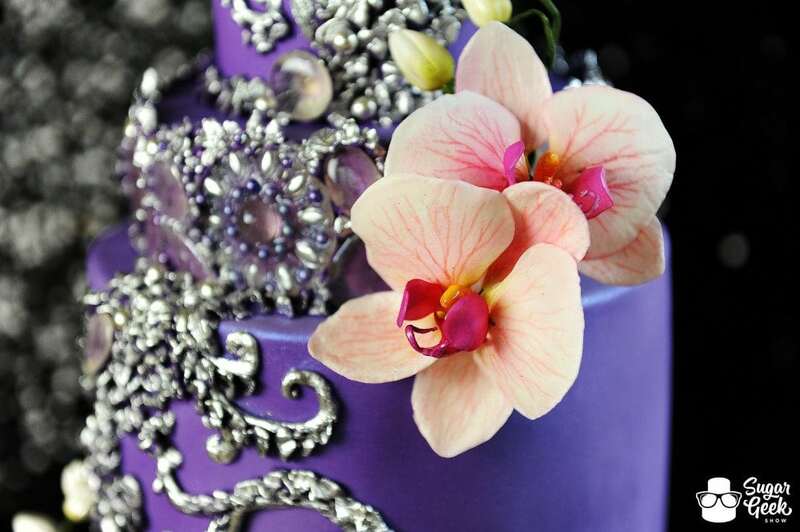 We have a Silicone Diamond Mold perfect for this cake available in the shop! 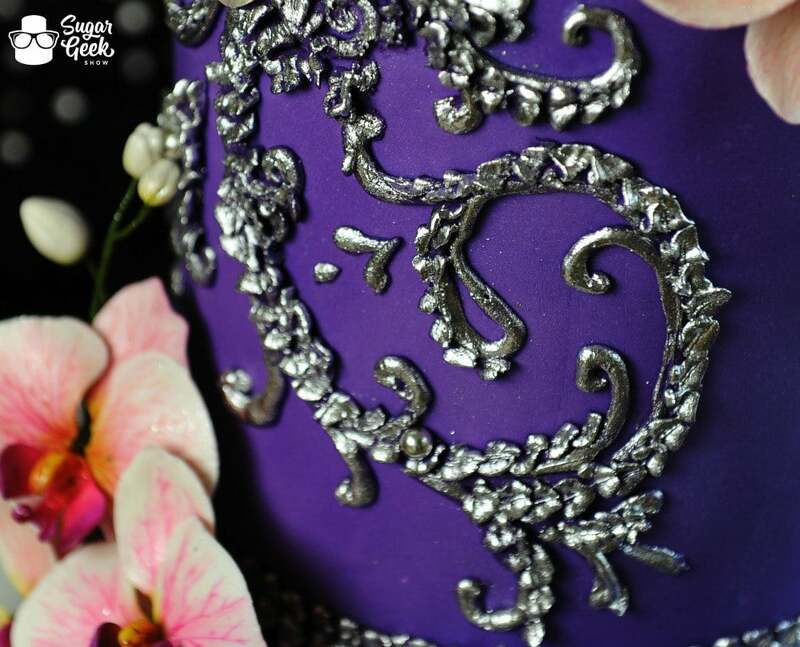 Learn how to create this gorgeous and unique piped pattern that could be used on so many cake designs! You’ll also get to see firsthand an incredible brand new product called the Dragee Kiss in action! It’s so new it is not even available on the market yet but will be very soon! Click HERE to visit their soon to be launched website or HERE to visit their Facebook Page to stay updated. I can’t wait to get mine! 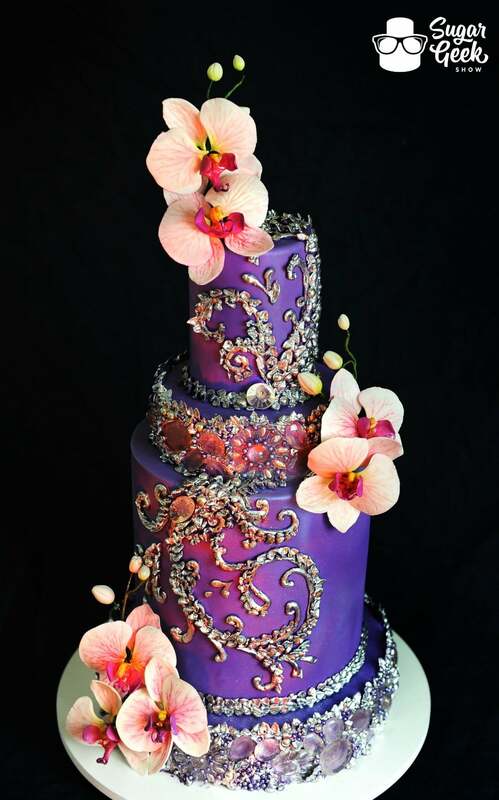 Overall there’s no denying this cake is an eye catcher. 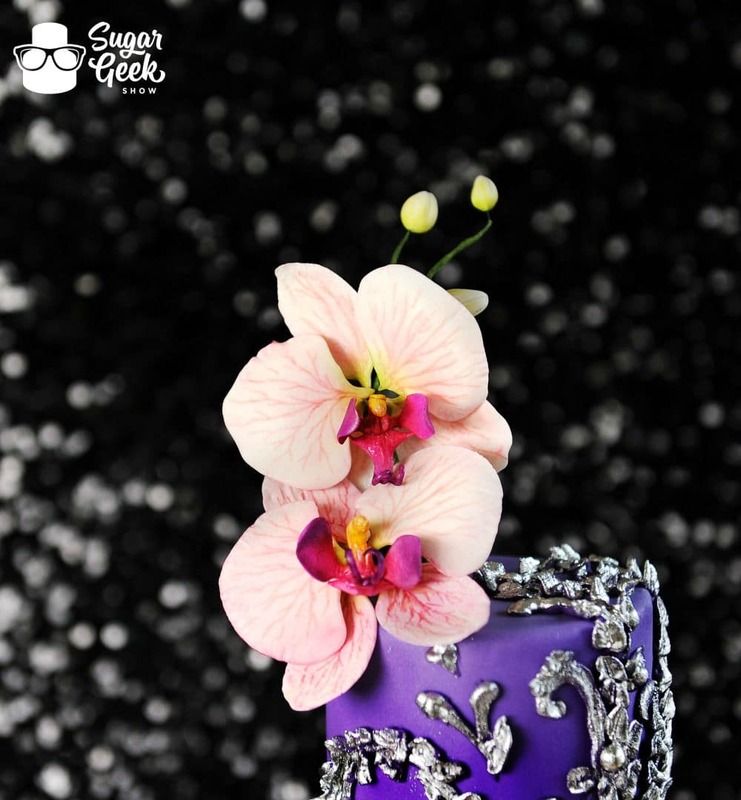 It’s totally on trend with the ultraviolet color for 2018 and personally I don’t think Orchids or Bling are ever going out of style. 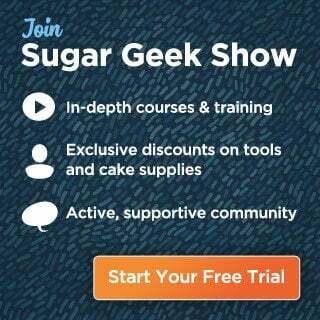 Become a Premium or Elite Member of the Sugar Geek Show today to gain access to this tutorial and hundreds of other intermediate to advanced cake decorating tutorials! Don’t forget to also check out the many FREE Beginner Tutorials and Recipes we have available!